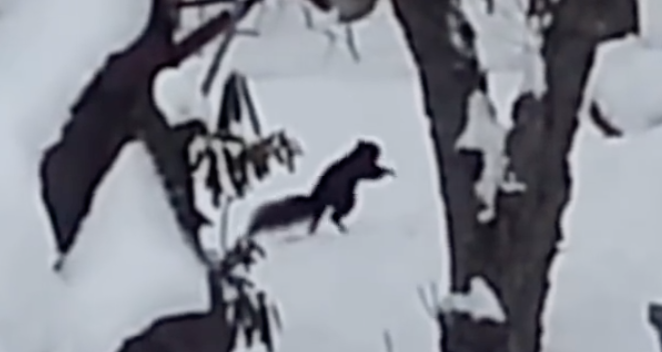 Video: Squirrel Eats One Too Many Fermented Crabapples Gets Drunk and Does THIS! It happens sometimes. An evening spent grabbing a drink with friends turns into you having one too many cocktails and before you know it you end up drunker than anticipated. Such lapses in judgment usually do not end up being recorded and posted on the internet. Such was not the case for one furry little squirrel. He was found in a backyard apple tree feasting on fermented crab apples and ended up gorging a little too much on the tasty snack. When he goes to do the walk of shame towards home he sloppily disembarks from his tree bar. 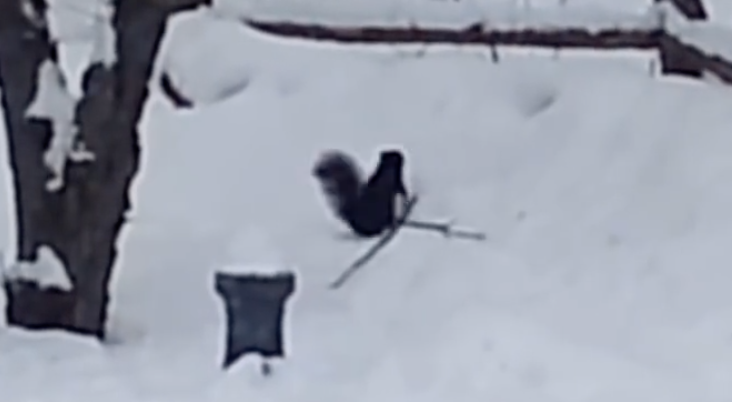 Gone are the graceful squirrel movements we are accustomed to seeing. 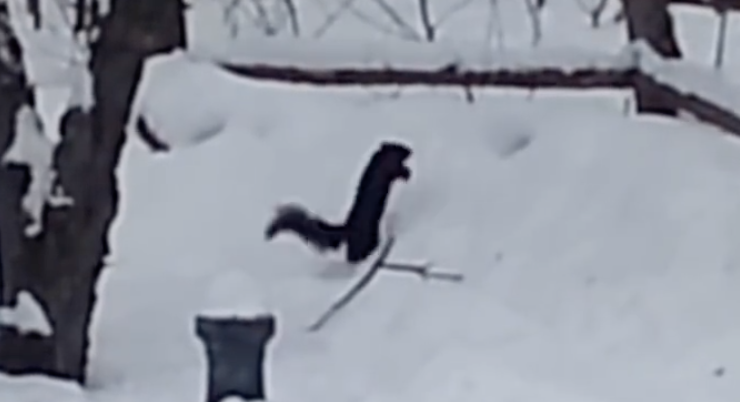 Instead, he hops towards a fence through the snow, but only gets a few steps before his troubles set in. Despite his best efforts he seems stuck in one place. He hops repeatedly, but appears to only be going up and down and not forwards much at all. He slides backwards and repositions himself to try again. This time he seems to be scampering sideways and even backwards. Any progress he made is lost as he drunkenly flails around in the snow. Finally, he makes it to another tree and manages to climb a few feet up. Perhaps he thought that it was his home tree, but soon after he realizes his mistake and takes off, hopping awkwardly through the forest. Maybe he went searching for more crab apples or some bread to sober himself up with. 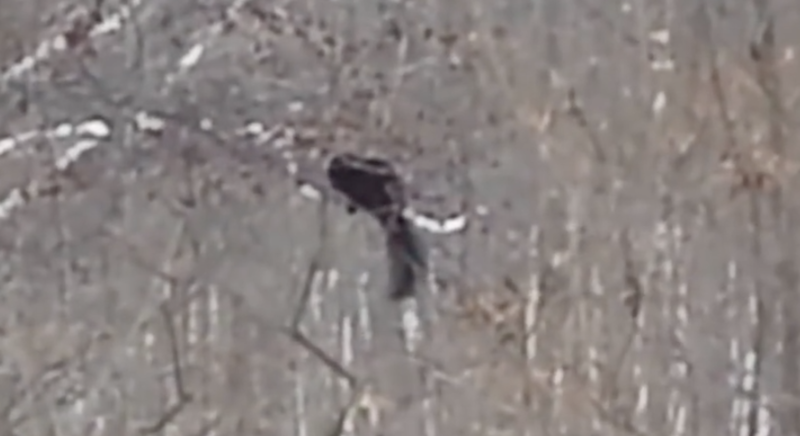 Whatever the case, the rare and amusing sight of it all makes his spectators laugh throughout the video. If he were human this squirrel would be making quite a scene! Hopefully the tipsy little guy made it home safe and didn’t have a nasty hangover the next day. This Woman Places Crayons In a Hot Glue Gun. The End Result Is Surprisingly Awesome! 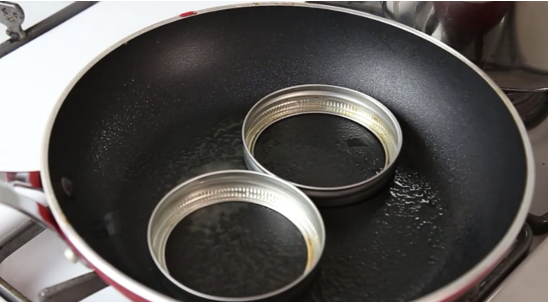 She Places Mason Jar Lids On A Pan For Breakfast. The Result Is An Unexpected Delicious Surprise! Twins Start Playing A Strange Song On The Harp. But Once It Gets Going An Unexpected Surprise! 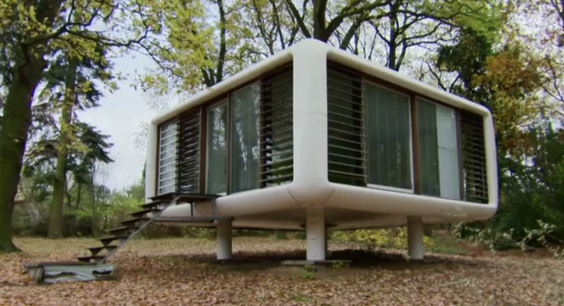 This Little Cube Looks Strange From The Outside But The Inside Will Blow Your Mind! 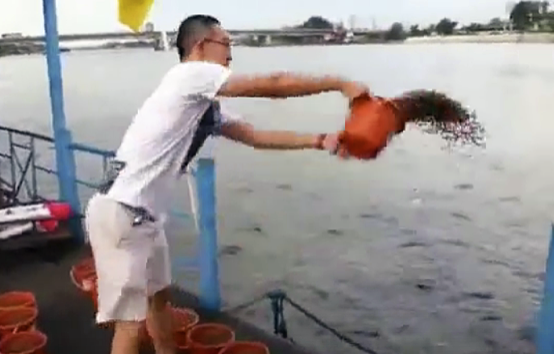 He Starts Throwing Buckets Of Food Into The Water. Seconds Later The Most Unexpected Surprise! 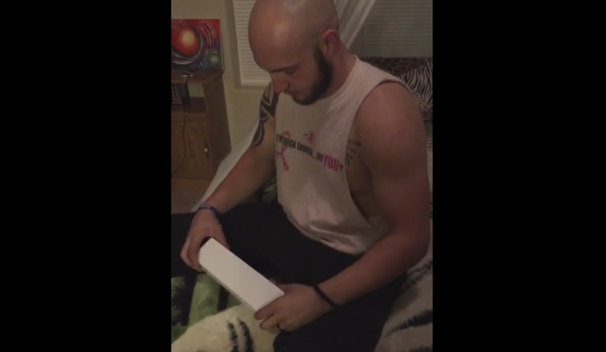 This Guy’s Wife Gives Him An Apple Watch Box. But What’s Actually Inside Brings Him To Tears!